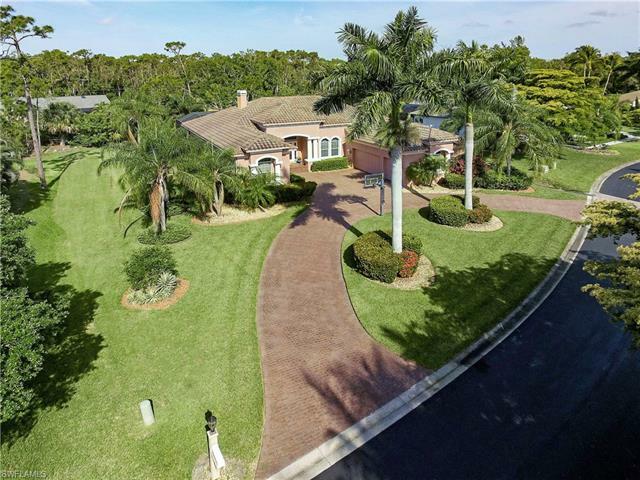 The South Fort Myers’ neighborhood of Blackhawk is a private enclave of custom-constructed, single-family homes, all beautifully positioned among lakes and green nature preserves. Blackhawk is located off of Briarcliff Road, amidst the highly desirable Daniels corridor of Fort Myers. While the privacy and rustic ambiance of this neighborhood help set Blackhawk apart from other neighborhoods, the quality of the home architecture certainly adds to the appeal. The residences here were constructed by the master builders of Arthur Rutenberg Homes. Many are complemented with swimming pools and are positioned upon estate-sized lots which can range from .75 acres upwards to 1.2 acres. The amenities at Blackhawk include a community playground. And for those who enjoy fishing, there are two spacious lakes filled to the brim with Bass. Of course, much more awaits just outside the neighborhood. Blackhawk is located mere moments from Fiddlesticks Country Club as well as Eagle Ridge Country Club. These provide ample opportunity to experience championship golf, tennis, club festivities and more. Barbara B. Mann Performing Arts Hall. Baseball fans can catch spring training games with the Boston Red Sox or Minnesota Twins at their homes-away-from homes – JetBlue Stadium and CenturyLink Sports Complex. And of course, the beautiful beaches of Fort Myers, Sanibel Island and Captiva also await only a short drive from the community. For the quality of the homes and the positioning in South Fort Myers, this neighborhood remains an ideal option for home buyers.